"Those giants over there... they're waving at us!" 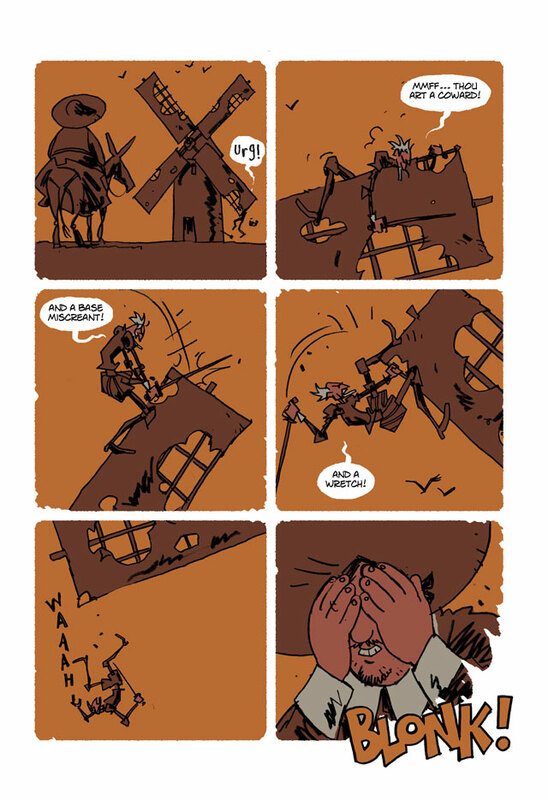 "You're mistaken, señor, they are windmills…"
More than 400 years ago, Spanish author Miguel de Cervantes (1547-1616) sent his irrepressible optimist of a hero out to tilt at windmills – and Don Quixote and his philosophical squire, Sancho Panza, still remain among the world's most popular and entertaining figures, as well as the archetypes for the tall, thin straight man and his short, stocky comic sidekick. 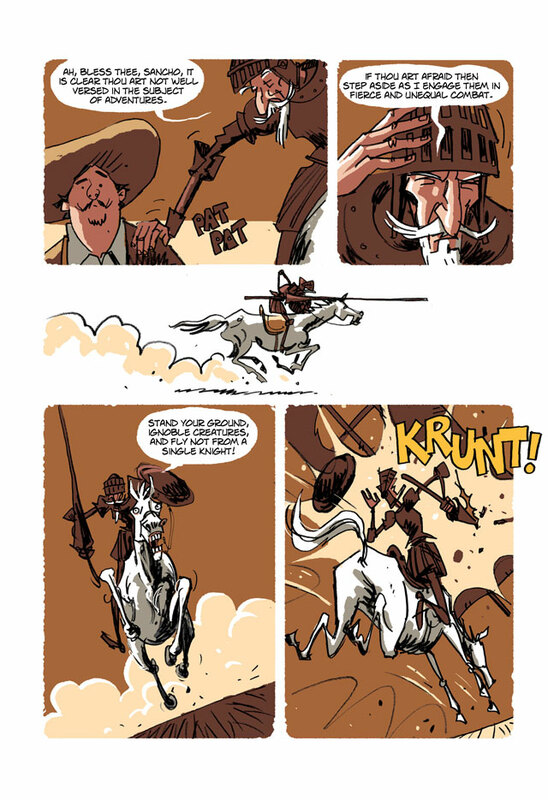 In this terrific adaptation of the Cervantes classic, Rob Davis uses innovative paneling and a lively colour palette to bring the Knight-Errant to life. 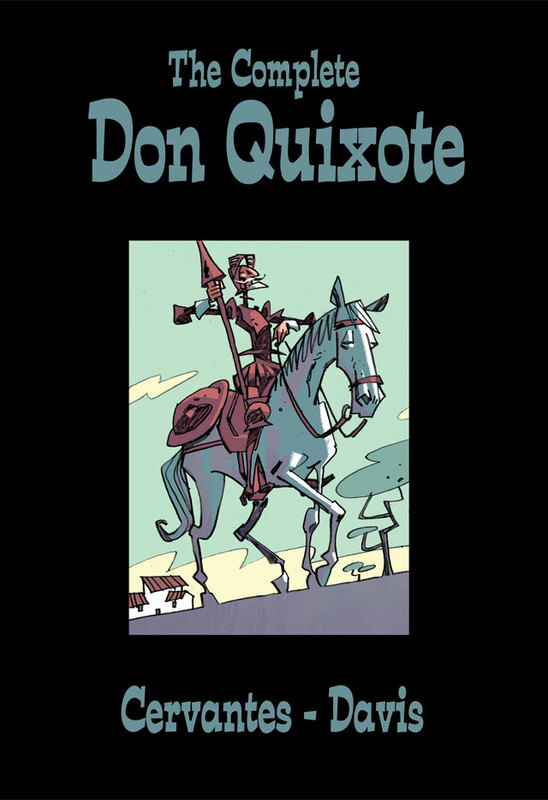 This is sequential storytelling and art at its finest, as we follow Don Quixote on his search for adventure and chivalrous quests – and he will not be defeated by such foes as logic, propriety or sanity. "I recommend this marvel of concision." "Makes this 400-year-old novel seem new." 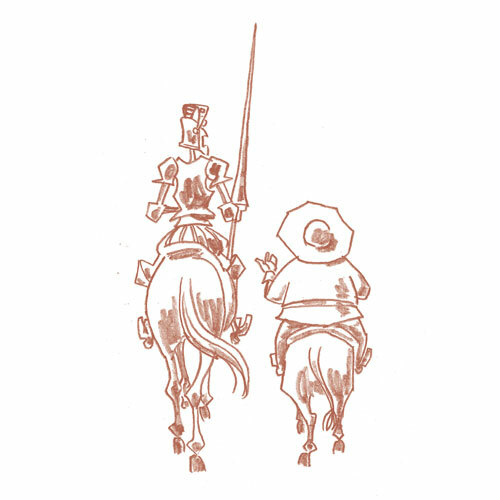 "A delightful iteration, taking nothing away from Cervantes' story." "Awash with sympathy and humour... A thoroughly loyal adaptation, full of enthusiasm for stories and storytelling."